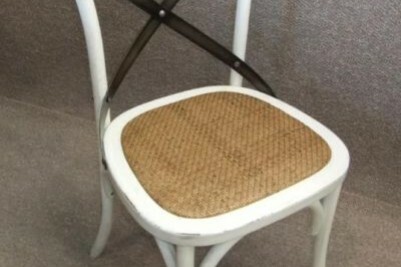 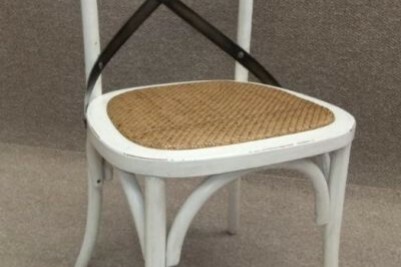 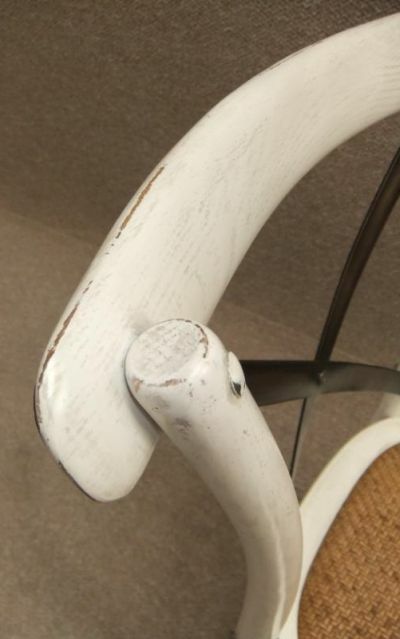 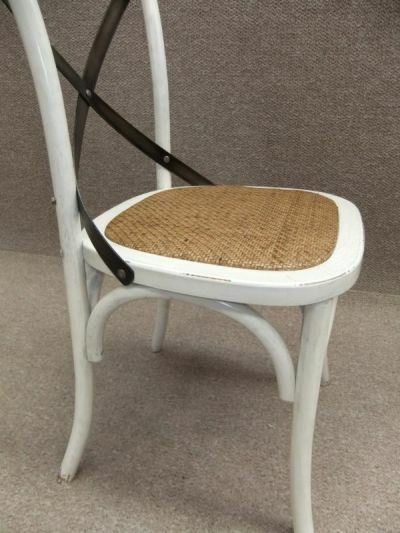 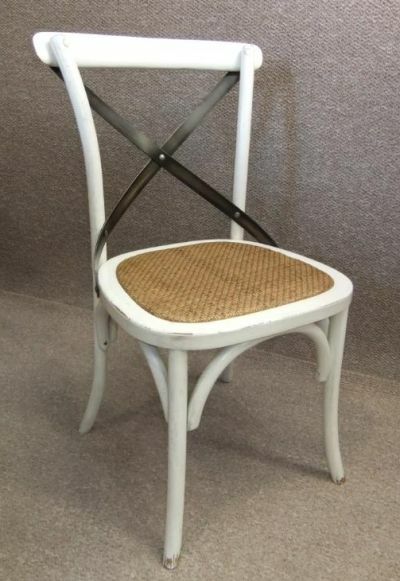 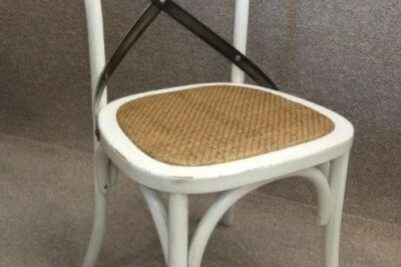 A stunning shabby chic bentwood chair. 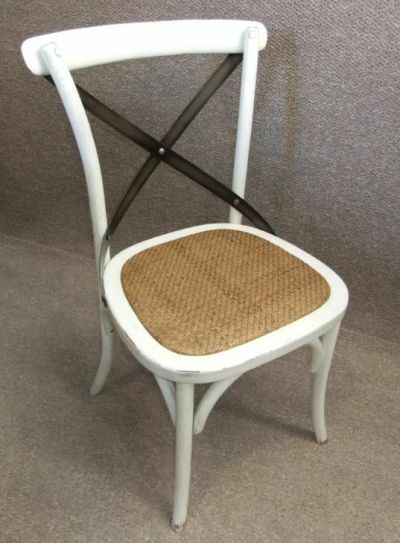 Introducing our new range of stunning bentwood cross back chairs. 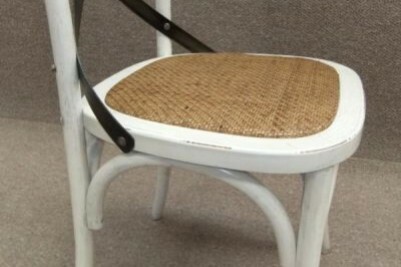 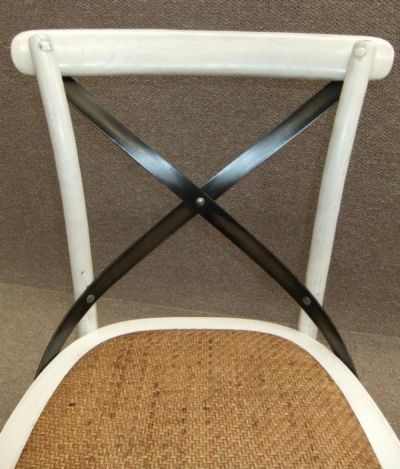 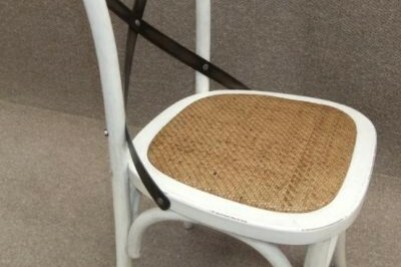 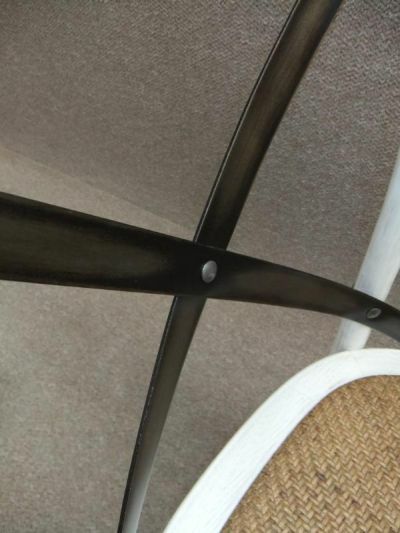 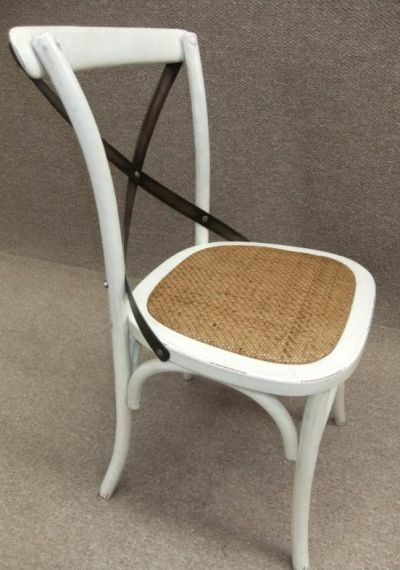 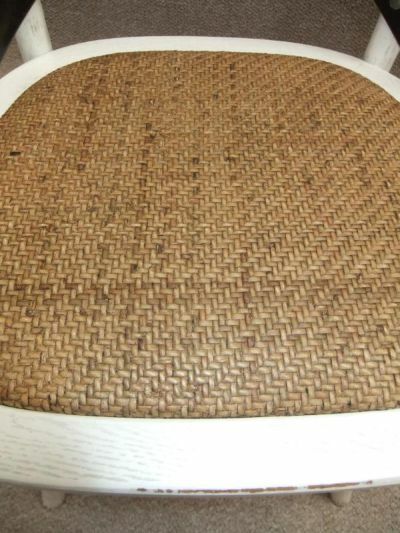 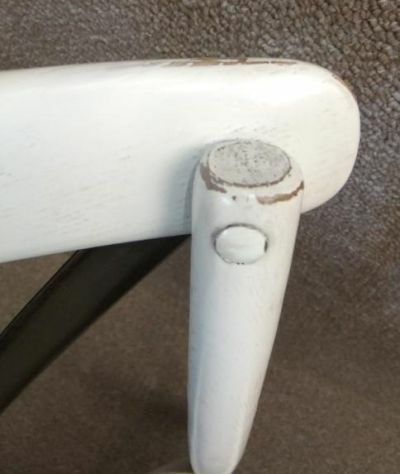 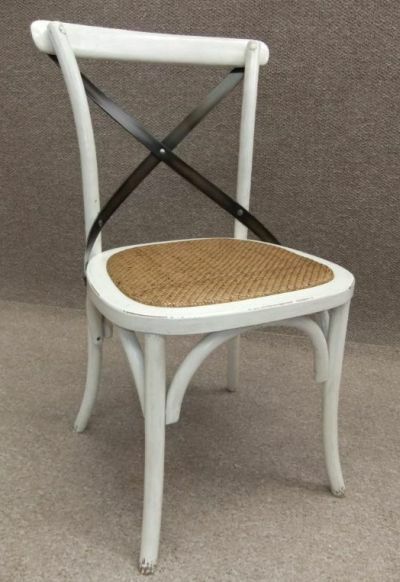 This solid oak bentwood chair features a comfortable rattan seat, a traditional curved top rail, and attractive and contemporary metal cross back straps. 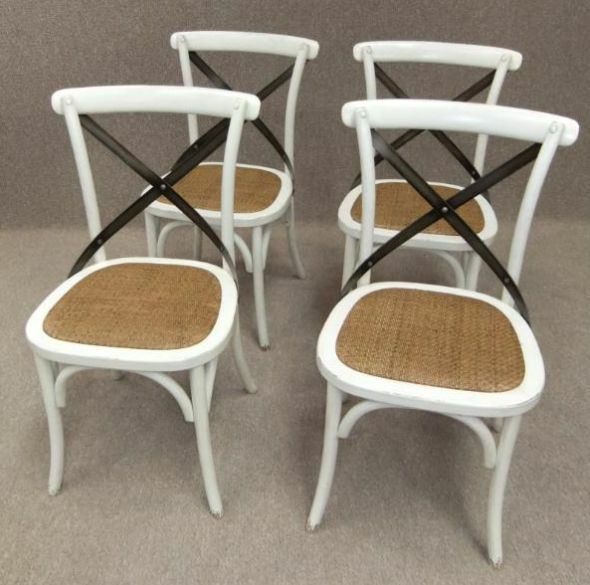 Available in a range of different styles, our bentwood cross back chairs are extremely sturdy; ideal for any home, café, restaurant or pub interior. 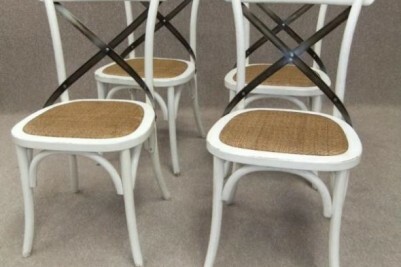 Our oak bentwood chairs are available to purchase individually, or in any quantity. 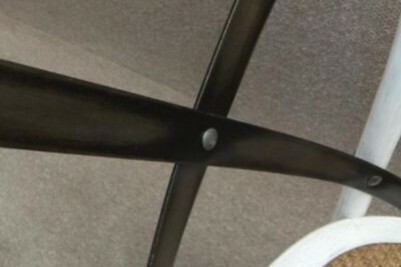 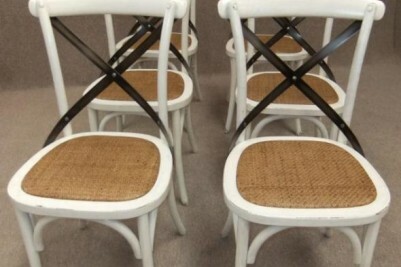 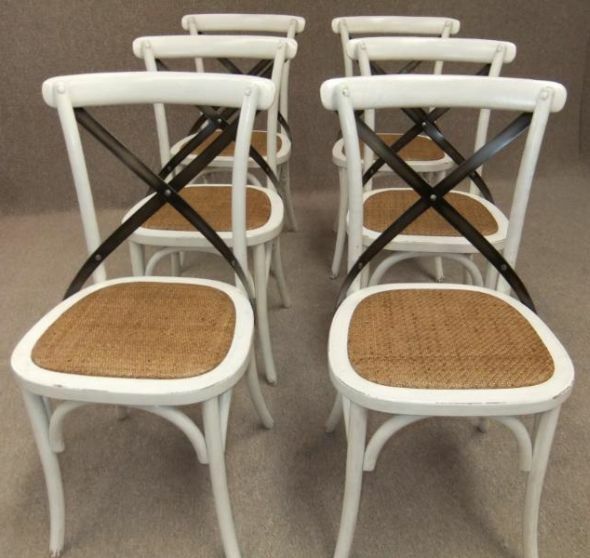 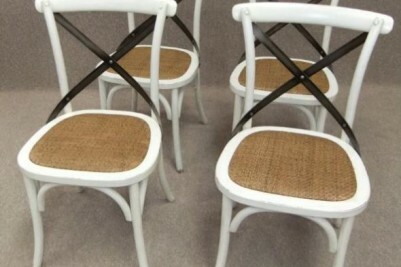 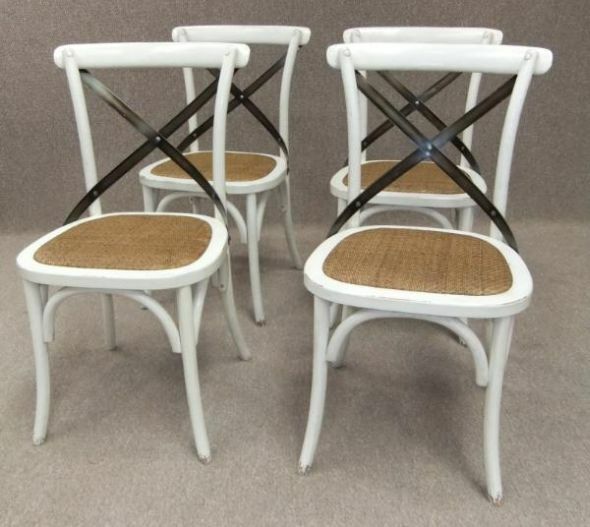 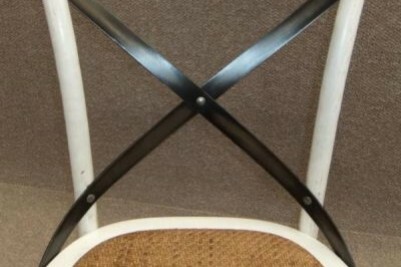 Please see our other listings for our full range of bentwood cross back chairs.